Tape & Reel Packaging | Rowley Spring and Stamping Corp. Tape and reel packaging is a process through which stamped components, also referred to as surface mount devices (SMDs), are packed into a preformed tape with individual pockets and used in the volume manufacturing of printed circuit boards (PCB). 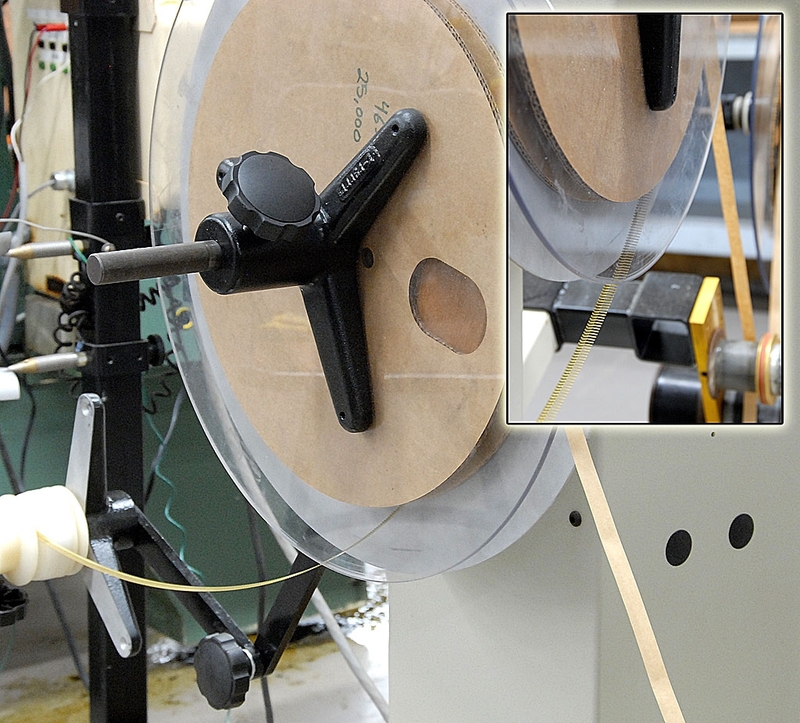 The tape is reeled on a spool of the customer’s specification and then shipped to the board assembler. The reels are then loaded into an automated pick-and-place machine that places SMDs on printed circuit boards for countless applications. To support the unique needs of each of our customers, Rowley Spring and Stamping custom designs and builds all of our pick-and-place equipment for loading the stamped components into the tapes. Our talented designers and tool makers have integrated advanced vision systems to ensure proper pick and placement of each component and to ensure compliance with EIA standards. Rowley Spring and Stamping Corp. also manufactures components that can be produced on a continuous reel. Instead of the tape and reel packing method, parts are stamped from raw material into a continuous strip and loaded onto a reel. The reel is loaded into a tape feeder and is then fed through the automated assembly machine in order to populate printed circuit boards. The part is “sheared” from the previous part in the reel and inserted into the board. This method of producing parts on a continuous reel is also referred to as Reel to Reel. Contact Rowley Spring and Stamping Corp. to inquire about our tape and reel or continuous reel to reel stamping capabilities.